This is it! 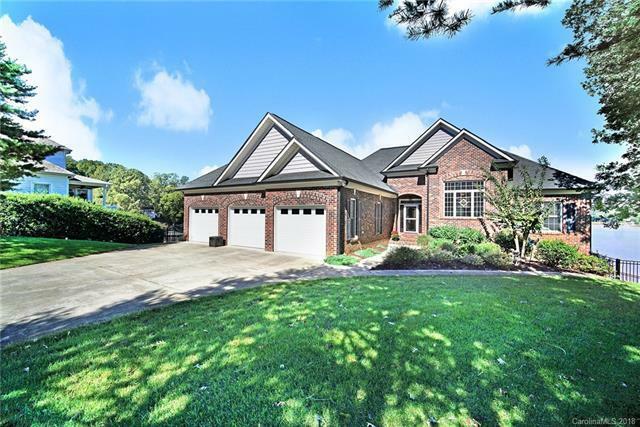 Custom built ranch home w/walkout basement and deep water on Lake Norman. Fabulous great room with vaulted ceiling, separate reading area, superb kitchen w/custom cabinetry, peninsula bar, granite tops, stainless appliances, pantry and large eating area w/wonderful water views. Split bedroom floor plan on main, w/private master suite featuring tray ceiling, lake views, large bath w/jetted tub, separate tile shower, water closet & large walk-in closet. 2 additional generous size bedrooms & full bathroom. Enjoy your meals or entertaining on the beautiful screened porch with access to and views of the lake. Partially finished basement could be easily completed to add additional living space. Multi-tiered fenced yard, hardscaped rear patio, stepping stones leading to a plateau area featuring a fire pit, step down a few more steps to private dock with boat lift. Tankless water heater & main HVAC are two years old. Oversized 3 car attached garage completes your next home. Sold by Rawson Realty, Llc.